Inspiration fails me at times. Most commonly I'm like so amny of us that feel uninspired at the thought of planning yet another meal. Fortunately for my family, I know people. The friendly people that I know at StarKist came to the rescue to share some "refreshing no-heat meals". 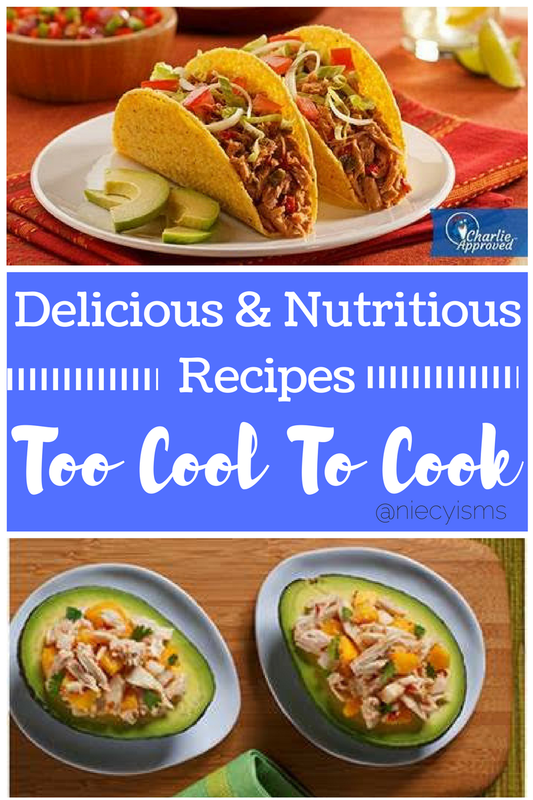 From spicy to mild, here are a few delicious and nutritious recipes that are just too cool to cook. Let's all give a huge shout-out for all of the inspiration, courtesy of StarKist. Thank you to the teams from StarKist for providing promotional information and items for editorial content purposes. Cook Time - None! Nada! Not Happening! * Place tortilla shells on plate. * Distribute tuna over the shell. * Top with lettuce and tomato and cheese as desired. * Garnish with avocado and cilantro as desired. * In a medium bowl mix mayonnaise and chipotle pepper well. 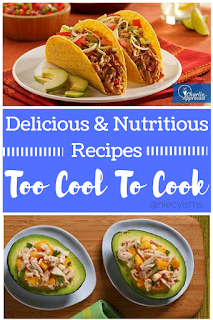 * Add tuna, jicama and diced mango, mix well. * Cut avocados in half, remove seed and hollow out slightly if necessary. * Place tuna salad in avocado half and sprinkle with a little fresh lime juice and chopped cilantro. * Place on lettuce-lined plate with mango slices as a garnish. Find these and other delicious and nutritious recipes from StarKist.